Takeover is our event that's all about having fun. Each event is different, they range from bonfires to scavenger hunts to movie nights to trampoline parks. 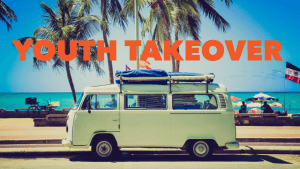 Stay up to date on all the Takeover details by following us on Instagram: canvasyouthsd or email youth@canvassd.com This month we will be having a family day at Del Mar Beach! More details to come soon. Invite your friends and family, it is going to be a great time.